We buy leggings with visions of training for a marathon or finally making it to that early-morning spin class … but let’s be honest. Leggings are also the perfect, comfy pants for hanging out at home and doing absolutely nothing. “Saturday Night Live” recently aired a skit that perfectly describes how so many women actually use their leggings, and the hilarious video hit home. The video shouts out to “couch paninis” everywhere (aka the laps covered in a blanket and topped by a hot laptop), and women on Twitter couldn’t get enough of the hysterical and all-too-relatable skit. Several of SNL’s leading ladies star in the video, including Kate McKinnon and Aidy Bryant, proving that you're not the only one who uses leggings for sitting around and eating messy takeout instead of training for a marathon. 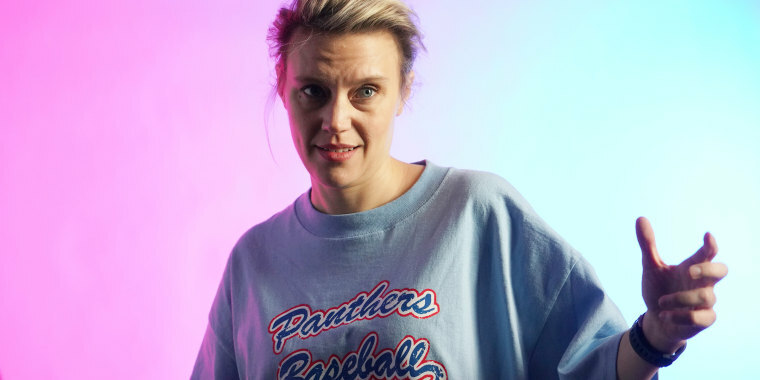 “Let’s get real — leggings can be pants, pajamas and a napkin,” McKinnon says in the sketch. She also shows that the true purpose of her leggings’ “patented moisture-wicking technology” is wicking away spilled soda, of course. Plenty of women are on the same page.